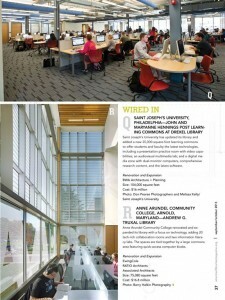 BWA Architecture + Planning – SJU’s Post Learning Commons featured in fall issue of American Libraries Magazine! 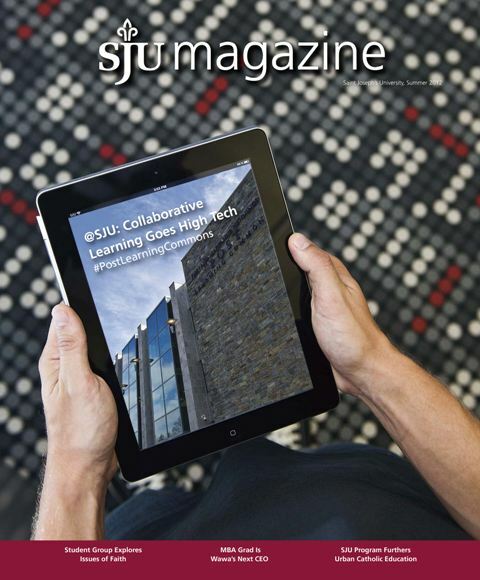 SJU’s Post Learning Commons featured in fall issue of American Libraries Magazine! 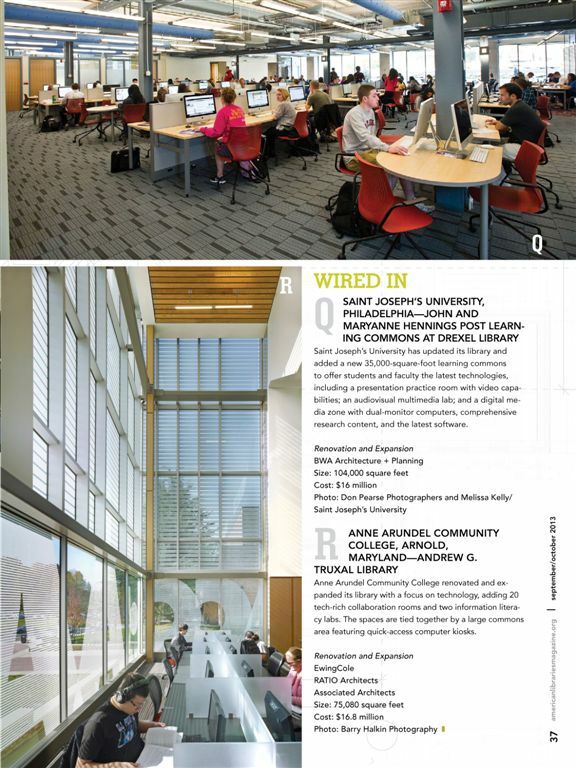 BWA is pleased to announce that the Post Learning Commons at St. Joseph’s University in Philadelphia has been selected for publication in American Libraries Magazine’s annual Library Design Showcase! 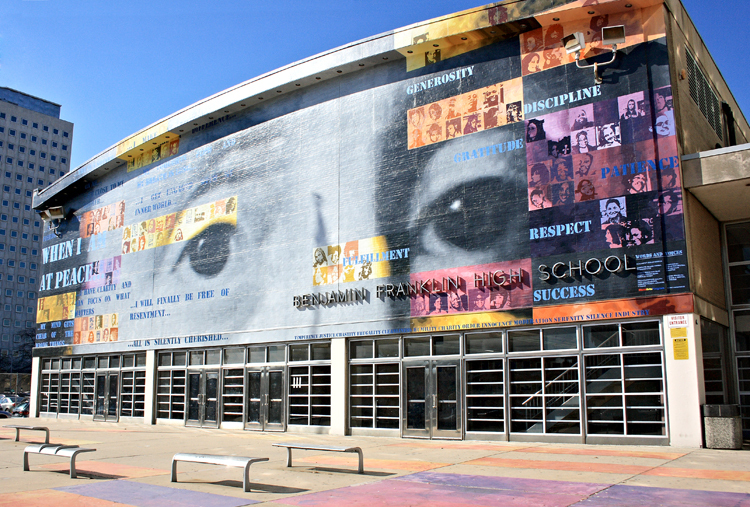 This year’s “Building the Future” projects include “…shining examples of innovative architecture that addresses user needs in unique, interesting, and effective ways.” You can view the piece in its entirety here. See more images of the Post Learning Commons here.